Home Events Next stop on the Road to SYNERGY: Dallas, Texas! Back in June, the Source One spend management team accompanied the nation's largest indirect Group Purchasing Organization (GPO), Corporate United, on their first stop on the Road to SYNERGY in Baltimore, Maryland. This series of one-day conferences invites industry professionals local to the area to meet with the consulting partners and learn about the experts that supports them as members of CU. Now, we're gearing up for the final stop on the Road to SYNERGY in Dallas, Texas on August 15! Members in the midwest are anticipating this opportunity to meet with the cost reduction experts and service providers who reinforce their procurement and supply chain operations. The Road to SYNERGY events include an agenda that has been developed to inspire procurement professionals while educating them with a variety of sessions and presentations that offer valuable insights and best practices applicable for every procurement organization. These one-day conferences also allow attendees to learn about success stories through case studies provided by the experts who implemented these proven strategic initiatives. Attendees are guaranteed to leave feeling inspired with new tools to better manage their indirect spend categories. 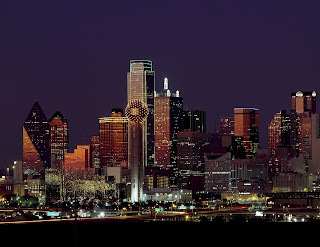 The Source One team is looking forward to the Road to SYNERGY event in Dallas, in just a few weeks! Will we see you there?